Last season, we had north of 20 trades made on the trade deadline day. I look forward to seeing what we come up with this season. As always, it is my goal to be as transparent with the rules of the trade deadline as I possibly can. Here is information regarding the 2018 Trade Deadline. The trade deadline is on Tuesday, July 31st. All accepted trades must be posted on the forums and confirmed by both parties by 4:30 PM PST!! In addition to the trade deadline being 4:30 PM PST, all exports must be in by 4:30 PM PST on Tuesday as well! At that point in time, exports will be imported and trades will be processed BEFORE the sim. Following the trade deadline on Tuesday, we kick off August and the Revocable Waiver Trade Period. A reminder, this process ONLY APPLIES TO PLAYERS ON THE 40-MAN ROSTER!!!!! Players not on the 40-man roster MAY BE TRADED WITHOUT GOING THROUGH WAIVERS. Irrevocable Waivers will be used for players who are waived & DFA’ed. This is to be done in-game. As has always been the case, players on irrevocable waivers CANNOT be pulled off of waivers if claimed. Players who do make it through waivers in this process may be DFA’ed if they accept their assignment. These players MAY NOT BE TRADED. These players MAY NOT BE TRADED/PUT ON REVOCABLE WAIVERS. For the month of August, if you want to waive a player with the hope of potentially trading that player, you must e-mail Matt OR PM Matt on Slack with a list of players you would like to waive. Waiver list submissions will be accepted in a series of waves on the dates listed below. This type of waivers does not lead to a removal from the 40-man roster. Players who clear revocable waivers may later in the month be placed on irrevocable waivers to clear a spot on the 40-man roster. The league office will send a list of all players put on waivers during that period to the league (additionally will be posted on the site). 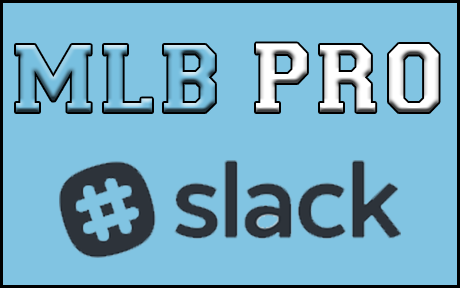 Teams will have until a selected date and time to e-mail Matt (or Slack Message Matt) with a claim of a player. The results will be posted before or immediately after the sim. Work on a trade with the team that won the claiming rights to the player, if for players on the 40-man roster, those PLAYERS MUST HAVE CLEARED WAIVERS AS WELL. A trade may be made immediately for players NOT ON THE 40-MAN ROSTER!!! The FINAL DAY TO SUBMIT A TRADE IS SIM TIME ON AUGUST 27TH!!!! Pull the player off of waivers and keep him — he would be eligible for IRREVOCABLE WAIVERS later in the month. The Angels place player XYZ on revocable waivers. Player XYZ is claimed by the Mariners. The Angels can force the Mariners to take the player, the Angels can pull the waiver off to waivers, or they can work a trade out amongst each other. The Mariners having not passed any players on the 40-man roster through waivers, would only be able to trade players off of their 40-man roster. They may be traded to ANYONE during the month. Waive/DFA in-game, the player will not to be eligible to be claimed by anyone who went through waivers unclaimed via the revocable trade process. These players will be given a “DO NOT CLAIM” nickname. If a trade is agreed upon by two teams, it will be inputted into the game. The game still must recognize our 3-day waiver process. There is nothing that can be done on our end to preserve player history. In order to help differentiate between these players and those who have been waived/DFA’ed in game, these players will have a nickname given of, “DO NOT CLAIM” – which of course indicates they have already been through waivers and cannot be claimed by anyone. If there are any questions, DO NOT HESITATE TO ASK.